PLEASE NOTE: Due to exceptional demand, this show has been upgraded to Band on the Wall. Original tickets are still valid, with the only change being that this is now a 10+ show (under 16s must be accompanied by an adult). The upgraded show has also sold out. We’re delighted to be working with The Beths for the first time! 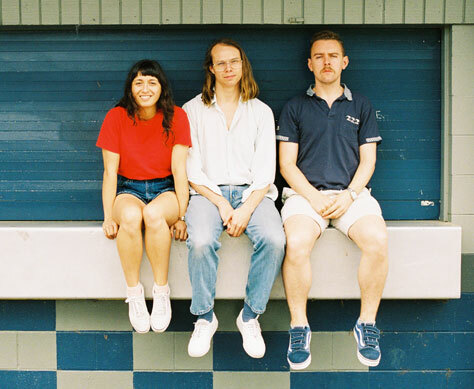 New Zealand four-piece The Beths channel their longtime friendship into high-energy guitar pop with a smart lyrical bite. Guitarist, lead vocalist and primary songwriter Elizabeth Stokes and guitarist Jonathan Pearce attended high school together before meeting up with longtime mates bassist Benjamin Sinclair and drummer Ivan Luketina-Johnston at the University of Auckland, where all four studied jazz. After gigging together in a variety of configurations, the quartet came together for a project exploring the pop and rock sounds of their youth. Everything clicked, and The Beths were born. Their debut EP, 2016’s Warm Blood, overflows with explosive guitar riffs and infectious indie-rock hooks. Produced by Pearce and featuring all four members on joyful vocal harmonies that recall the best ‘60s pop, tracks like ace lead single Whatever and impossibly catchy standout Idea/Intent earned the all-killer, no-filler release rave reviews from the New Zealand music press. Tour support comes from Hans Pucket – a Wellington-based pop band made up of Callum Devlin, Oliver Devlin and Jonathan Nott.